Home » Eye Care Services » Contact Lenses » Contact Lens Wearers, Yes, You Still Need Glasses! Contact Lens Wearers, Yes, You Still Need Glasses! Many who previously weren’t candidates for contact lenses have found that in recent years lenses have become available to accommodate their particular vision needs. With these advancements some mistakenly believe that they no longer need to have a current eyeglass prescription filled. This is not the case. While you may be able to wear your contact lenses the majority of the day- and for some wearers of specific lenses even during sleep- the following are important reasons why you still need to have glasses with a current prescription. THE NEED TO REST YOUR EYES: In order for your eyes to remain healthy they sometimes need to breathe normally. Make it a point to remove your contact lenses and allow your eyes a chance to rest. Try to do this for at least a few hours every evening and as often as possible one whole day a week. During this time you would want to wear your glasses to continue your daily activities. IN CASE OF INFECTION OR EYE TRAUMA: Glasses are also needed during the treatment of an eye infection or eye injury. 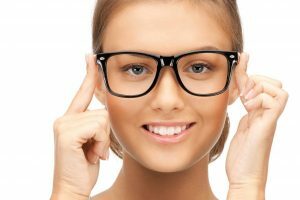 In most cases it would be necessary to wear glasses rather than contact lenses to promote proper eye healing and prevent a condition from worsening. ALLERGIES AND IRRITANTS: Sometimes seasonal allergies may force you to remove your contacts in order to get some relief. Glasses would again be necessary to maintain comfortable vision. Other times your eyes may become irritated by dusts and debris a situation which can be exacerbated by the wearing of correctional lenses. UNEXPECTED INCIDENTS: Various situations may also arise that would prevent you from wearing your contacts. It is possible that you may tear or lose a lens and be without a replacement-possibly for days. Parents of newborns and young children may find themselves awake in the middle of the night tending to children. These incidents and many others would be less stressful with an updated pair of glasses on hand. Aside from emergency situations glasses can be fashionable too! If you’re happy with the aesthetics of your glasses you are more likely to wear them. Don’t let outdated eyeglasses, thick lenses or frame style faux pas prevent you from taking a needed break from your contacts. At Eye Care Professionals in Lantana, FL, we carry a wide selection of designer frames to pick from. 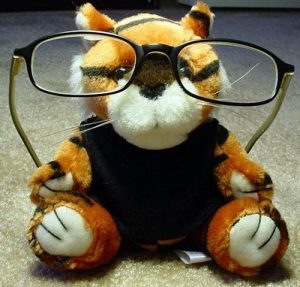 Visit our office, speak with our opticians, and make sure you have an updated pair of glasses!